The concert, part of the singer’s 100-city world qawwali tour, is the 50th event managed by Intense Entertainment. As part of a global qawwali tour to pay tribute to his uncle and legendary musician Nusrat Fateh Ali Khan, Pakistani maestro Rahat Fateh Ali Khan will perform in the Washington, DC, area on August 31, 2018. The concert, presented by Intense Entertainment, will be held at The Theater at MGM National Harbor, in National Harbor, MD, just outside of Washington. The concert will be the 50th event managed by Intense, according to its founder Manish Sood. 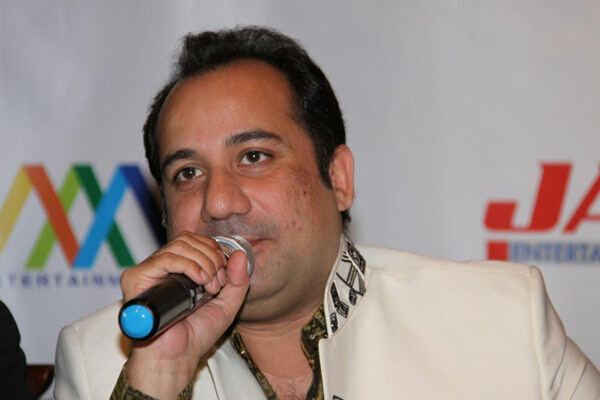 Rahat Fateh Ali Khan announced the Qawaali tour, which will take him to 100 cities worldwide, in January this year. During the current tour in the United States, he has already performed in Austin, TX; Houston, TX; Everett, WA; Phoenix, AZ; Trenton, NJ; Naperville, IL; Indianapolis, IN; Tampa, FL; and St. Lousi, MO. Intense founder Sood said it was a matter of great pride for his company to host Khan for its “golden jubilee” show. Launched seven years ago, Intense’ first performance was a “Live in Concert,” featuring Pakistani singer Atif Aslam and Indian Sunidhi Chauhan. Since then it has hosted a number of mega concerts and events, starring the who’s who of Bollywood, including actors Shahrukh Khan, Deepika Padukone, and Abhishek Bachchan, and singers Sonu Nigam and Shreya Ghoshal. According to Sood, Intense is the first Indian American entertainment company to host South Asian concerts at three of the area’s most iconic venues: the Jiffy Lube Live in Gainesville, VA; Filmmore in Silver Spring, MD; and MGM Theater in National Harbor, MD. The “SLAM” concert it hosted at Jiffy Lube in 2014 was “the most expensive show” in the DC area, he told the American Bazaar. Making ticket purchasing more convenient for its audiences by incorporating more technological strategies has paid dividends, Sood said, adding that 95 percent of the firm’s ticket sales are from purchases online. He also thanked the Washington-area audience for its support. “Our achievement today on being a well-known and highly trusted company would not have been possible without the continued support of the audience,” said Sood. As a token of love and gratitude for the audience, he announced audience members who are either disabled or handicapped free tickets to all Intense events. Over the years, Intense Entertainment has branched out to a number of areas and platforms, including marketing, internet radio and music production.